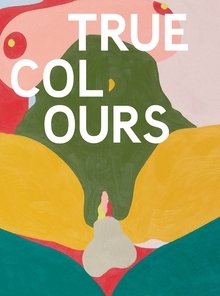 Boo Saville's "Born with Two Faces" (2018) is reproduced from True Colours, Other Criteria's catalogue to Newport Street Gallery's recent three-person painting show with Saville, Helen Beard and Sadie Laska. In a published interview, Rachel Howard comments, "I read somewhere that you'd said that the figurative pieces were thoughts, and the abstracts are…" To which Saville responds, "…memories and emotions. I think the figuratives are trying to rationalize something. I was watching this program about how cave paintings were made—these people would go out in the world and they'd be hunting and watching animals, recording it in their heads, and then go into the cave and draw it. Then they would also do all of these patterns, and the patterns would maybe come because of the flickering torch light or something. And I kind of feel like it's the same thing, I feel like when I'm doing the abstract painting I'm in a cave, or I've gone into this other realm." Hbk, 9 x 12.25 in. / 176 pgs / 68 color / 24 b&w.